If you are planning on offering group sessions of hypnotherapy then this is the induction for you. There are slight differences in approach that need to be taken into consideration when hypnotizing a group of people instead of just one. 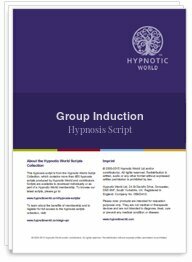 This hypnosis script download from Hypnotic World can help to make your group sessions successful.